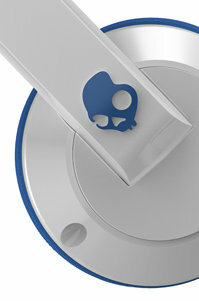 SKULLCANDY 002433 S5URDY-238 Uprock Headphones - White & Blue. Skullcandy became the world's most distinct audio brand by bringing colour, character and performance to an otherwise monochromatic space; revolutionising the audio arena by introducing headphones, earbuds and other audio and wireless lifestyle products that possess unmistakable style and exceptional performance. From the award-winning, optic-inspired Roc Nation Aviator headphones to the evolutionary fitting FIX earbuds and a roster of the world's finest athletes, musicians and artists, Skullcandy continues to redefine world-class audio performance and style. Skullcandy is committed to innovative designs, ensuring your favourite headphones perform according to your needs. 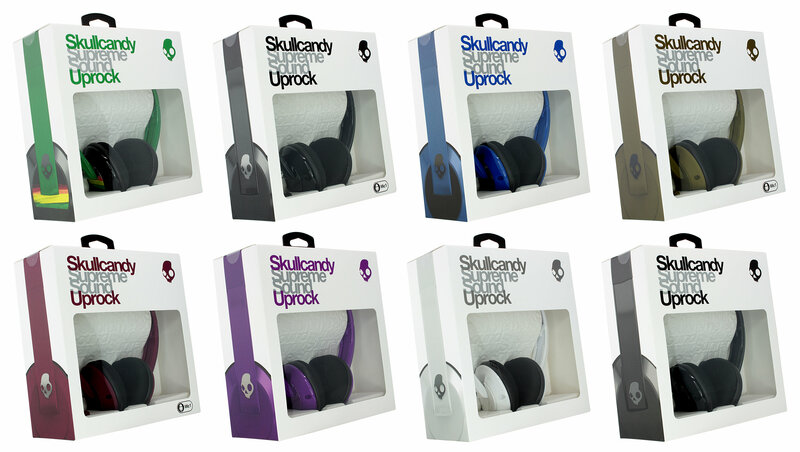 The ergonomics of Skullcandy product features are engineered to perfectly fit the anatomy of your head and ear. Skullcandys unique design solutions conquer industry and user problems. 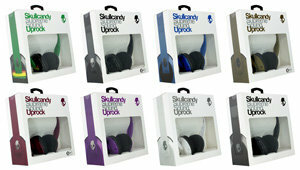 Skullcandy has developed a number of headphone collections to enhance end-user style and keep you true to your core. Skullcandy is committed to delivering true, premium audio and their new Supreme Sound tuning gives your favourite music the full range of attacking bass, natural vocals and precision highs. Created by a team of the world's leading acoustic engineers, Supreme Sound is the exclusive audio experience only Skullcandy can deliver. It is engineered to the consumers playlist to deliver the best possible tonal balance of bass, vocals and highs. These three audio components encompass the entire audio spectrum and are the foundation of the Supreme Sound Experience. Through Supreme Sound, Skullcandy has defined the way bass, vocals and highs should sound in all of their products. Consumer headphones often deliver suppressed muddy bass or exaggerated boomy bass. Attacking Bass packs a sound that is punchy and powerful. Conventional headphones can sound tinny and hollow like they are being pushed through an AM radio. Supreme Sound creates a warm and smooth listening experience so you can hear every inflection in your favourite songwriters lyrics, as if you were standing beside them.